Time flies. Here it is three weeks after I got back from my last trip with barely a word from me. Since I’ve been home, I’ve done a few more days of skiing and some snowshoeing and some walking and a lot of moving stuff around in the studio and a fair bit of Netflix watching. It doesn’t seem like it would take up all my time, but somehow it has. Now I have another trip looming, so I figured I’d best jot down a few paragraphs about the last journey while I still remember it. I sometimes have the feeling that the primary purpose of this journal is for me to be able to Google things about my own life when I can’t quite recall when or what or who. Before my April travels, I went to Portland for a weekend conference at the end of March, with classes about communication and relationship dynamics. One of the highlights was the class where I sat next to a visually impaired woman who had a guide dog, a dog that slept at my feet the whole session. It was so hard not to reach down and pet him, but I restrained myself. 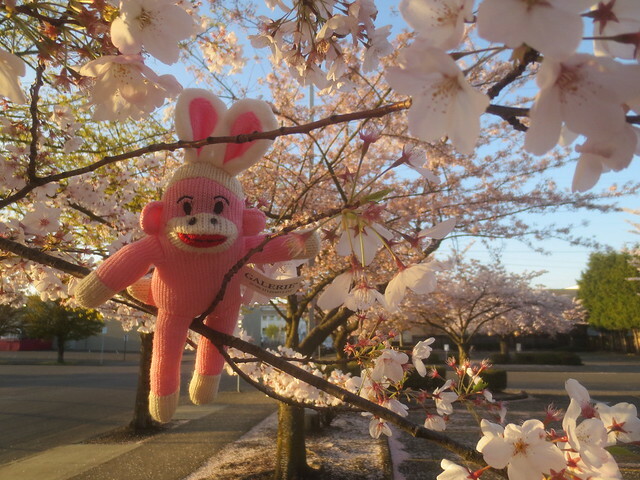 In between learning stuff, I got outside for a bit and enjoyed my first taste of spring (along with the sock monkeys I’d brought with me). 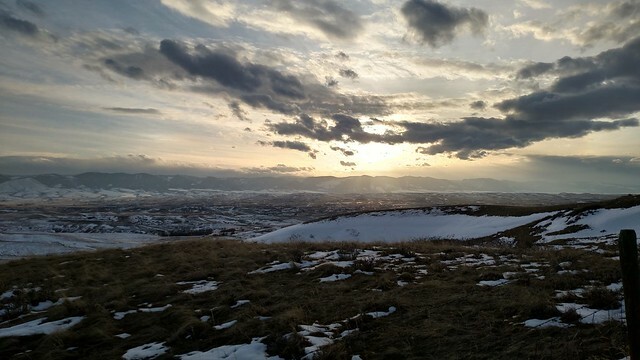 I was home for a day, unpacking and repacking, then Mr. K and I headed off our mountain on a snowy day, dropping my car at the airport in Spokane before driving east in his pickup. Much as we would have liked to stay home and enjoy the record season snowfall, the timing of the trip was determined by when the memorial service for Mr. K’s aunt was scheduled. She passed late last fall, rather unexpectedly. We made it to Missoula the first night, Rapid City the second (that’s where I dropped my truck keys and didn’t notice until we were two hours down the road, too far to go retrieve them), then to Mr. K’s mom Joan’s in Illinois the third. The next day, we caravanned to Michigan with Joan, our nephew Chase who’s been living with her since earlier this year, and Mr. K’s sister Kathy who had flown into Illinois the day before. We got to the hotel in East Lansing just in time to head over to the big family dinner at nearby restaurant, joining Mr. K’s other sister and her husband who’d driven in from metro Detroit. 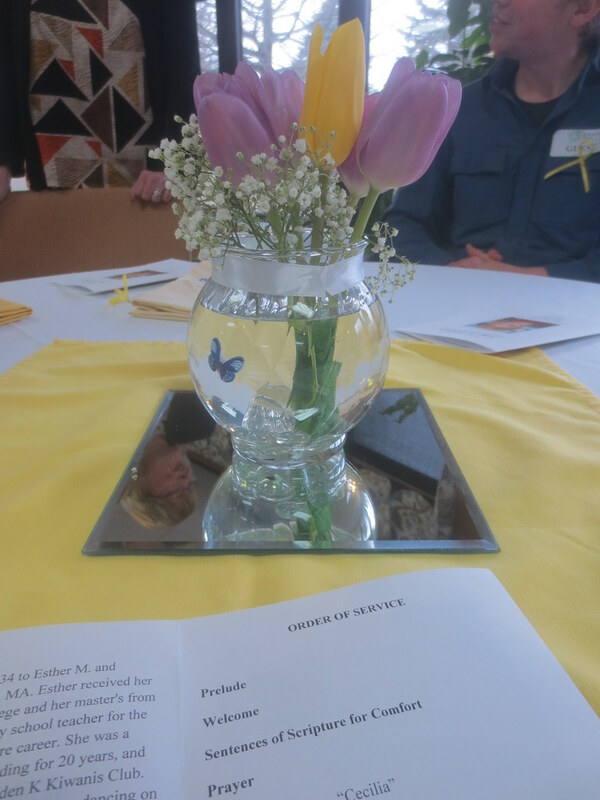 The next day was the memorial service, held in a community room at the retirement home we’d visited his aunt and uncle at last fall. After the service much of the family kept visiting, as we had the room until 10 that night. Before heading back to Illinois the following morning, since Kathy, Mr. K, and all graduated from Michigan State, we took a self-guided driving tour around the campus, taking in what had changed and what hadn’t since we’d last been there. 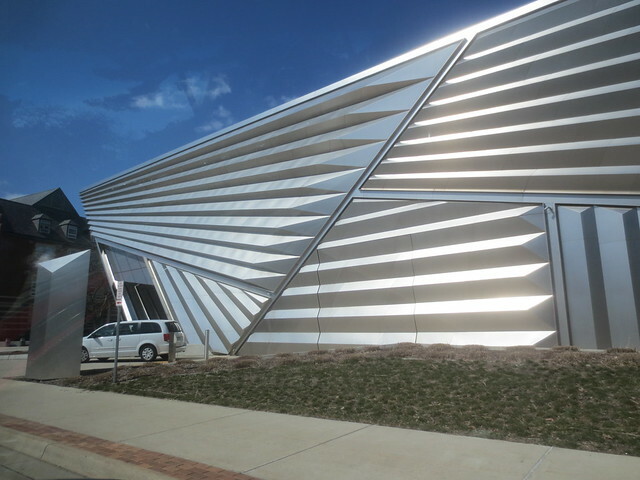 The most eye-catching new thing was the shiny corrugated art museum. Back in Illinois, we spent some time with Joan and Kathy, and I spent some time going through the storage unit where my brother and I stashed the last of the stuff from my mom’s house. 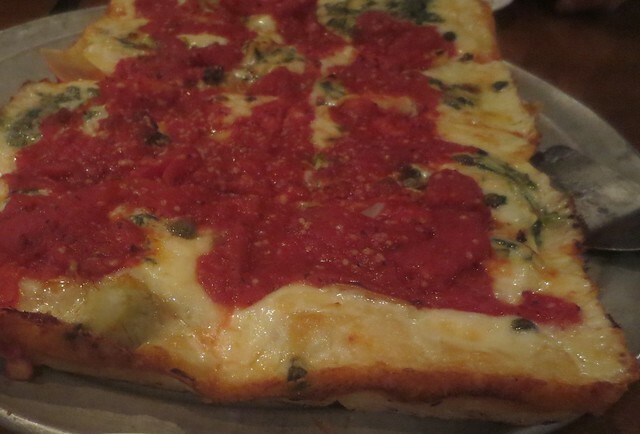 After a few days, it was back to Michigan for a quick couple of days eating yummy food we can’t get in Idaho, like Buddy’s Pizza, experiencing an ice storm, and visiting with a few friends (there’s never time to see everyone we want to). 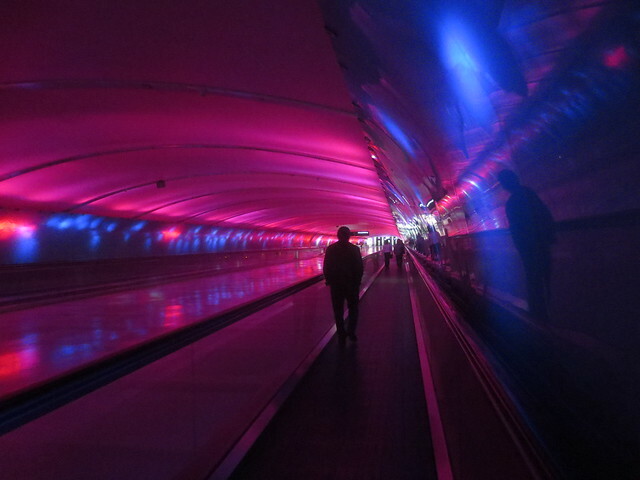 Then Mr. K took me to the airport in Detroit and I flew home, while he continued on with other adventures. But that’s for his journal, which is not a thing.